VCOR welcomes participation from all eligible health services. 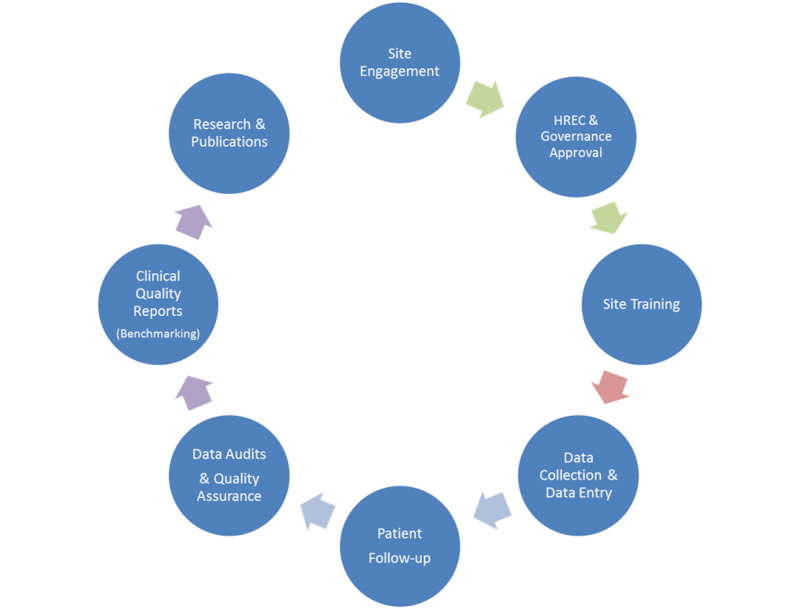 Participating hospitals are provided with access to the data they enter and can use this for their own quality audits, research and/or reporting. VCOR will provide regular, individualised data and quality reports to sites to allow them to benchmark their own performance against other participating centres. This provides health services a unique opportunity to identify strengths and weaknesses in the services they provide. To contribute to the Victorian Cardiac Outcomes Registry, health services must nominate a local Principal Investigator and, in due course, assign a Data Manager to undertake and oversee VCOR operations at the site. Ultimately, the Principal Investigator (PI) is responsible for unit participation and compliance with VCOR policies and procedures. Prospective sites wishing to participate in VCOR, should email vcor@monash.edu. VCOR may also approach individual clinicians and/or sites directly to invite participation. Getting Started Once initial contact has been made, the VCOR project team will advise sites how to begin preparing for VCOR data collection and will help coordinate application submissions for ethical and governance approval. VCOR will provide training to all relevant staff prior to data collection commencing. To view the health services currently participating in VCOR, please view our Participating Hospitals page.